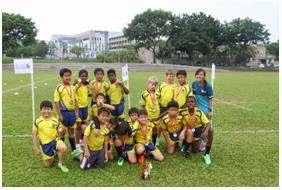 The Mini Rugby Under – 11 tournament was held on the 9th September 2014 at Yio Chu Kang Stadium. A total of 18 teams from 13 schools participated in this tournament. 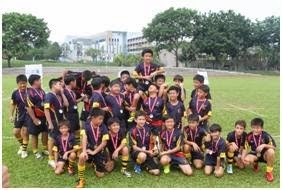 The tournament saw the teams from Anglo Chinese School Junior A team winning the Cup Champion, Bukit Timah Primary School taking home the Plate Champion and West View A team winning the bowl Champion. Singapore Rugby Union and Standard Chartered Bank would like to thank all the school that participated and congratulate all the winning teams.